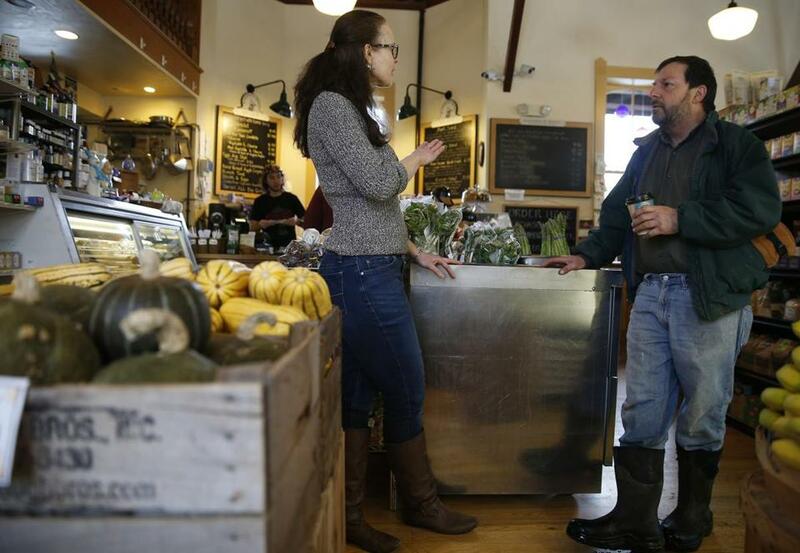 Hillary Leicher, a manager at Chef’s Market, and egg farmer Chris Recchia discuss law enforcement in Randolph, Vt., which is now covered by the Orange County sheriff’s office. 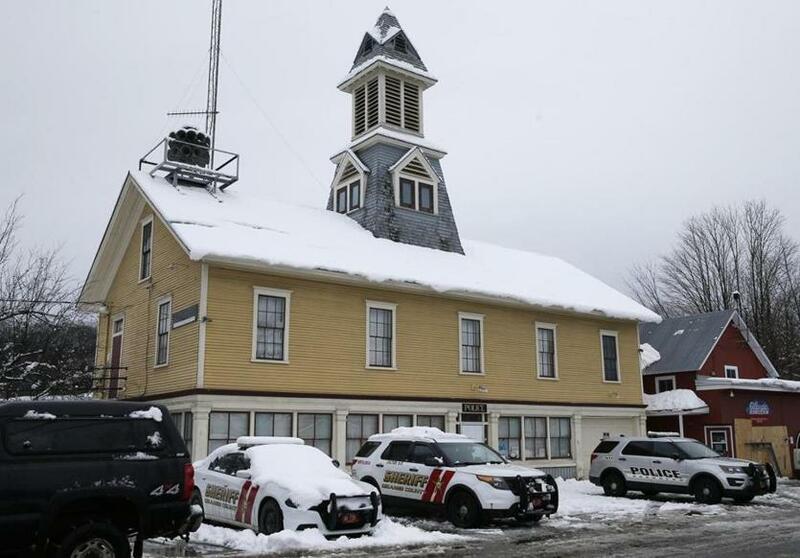 RANDOLPH, Vt. — The small-town police force here was like something out of an old black-and-white folksy movie — a relic of an era when gas was cheap and kids gathered at the local depot to watch the big trains rumble through. Members of the Randolph Police Department walked a beat on Main Street where everybody knew their names. They handed out candy on Halloween. They visited schools. They broke up fights. And if you drove drunk after a rough Friday night, they locked you up. But, one by one over the course of the last year, the local police force has drifted away. Simple economics may mean it’s not coming back. The blinds are drawn on the old downtown police station, a mustard-colored clapboard building with maroon trim that once housed a grain silo. Cruisers sit outside the old police department headquarters. And now this little village of 2,000 is pondering life without its local cops. And the cost of rehiring men and women with guns and badges. Hillary Leicher, a manager at Chef’s Market on the site of the old depot, where you can now buy snow peas, garbanzo beans, and sweet potatoes for $2.99 a pound, wants her young family to have what she had as a little kid, riding her banana-seat bike around a tight little town. But that presence — those local cops — are all gone now. Five full-time officers have left since the springtime, the last one in September. One sergeant’s retirement had long been scheduled for June. The former chief, on the job less than a year, went back to where he came from. Loretta Stalnaker had been a police officer here since 1999. She hoped to be chief one day. And now she is: in Royalton, 15 minutes and 10 miles away from a job she loved until she saw the writing on the wall. “When the [Randolph] chief put his resignation in in April, there were some rumblings about disbandment,’’ Stalnaker said, her new gold chief’s badge glinting in an early morning sun the other day. “And to be honest with you, nobody wants to be without a job. 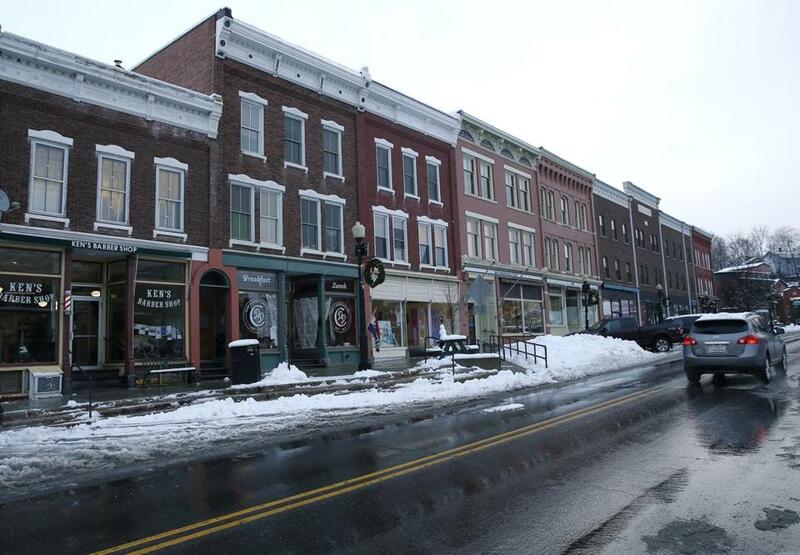 Shops along North Main Street in Randolph. It’s also become the talk of this town, 25 miles south of Montpelier off Interstate 89, where the White River used to provide power for old gristmills. The town has a museum and a music hall, a hospital and that Amtrak station. But behind the wheels of its police cruisers these days are officers who wear uniforms that no longer bear the name of Randolph, Vermont. At the center of it all, of course, is money. The now-vanished police force cost taxpayers roughly $600,000. The current stop-gap contract with the Orange County sheriff’s office is $287,000. Simple math: Half the cost. 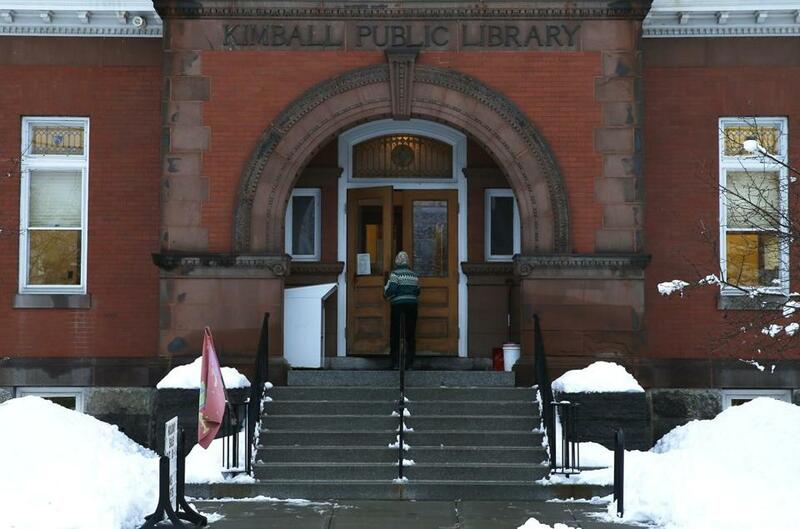 A woman walked into Kimball Public Library in Randolph. 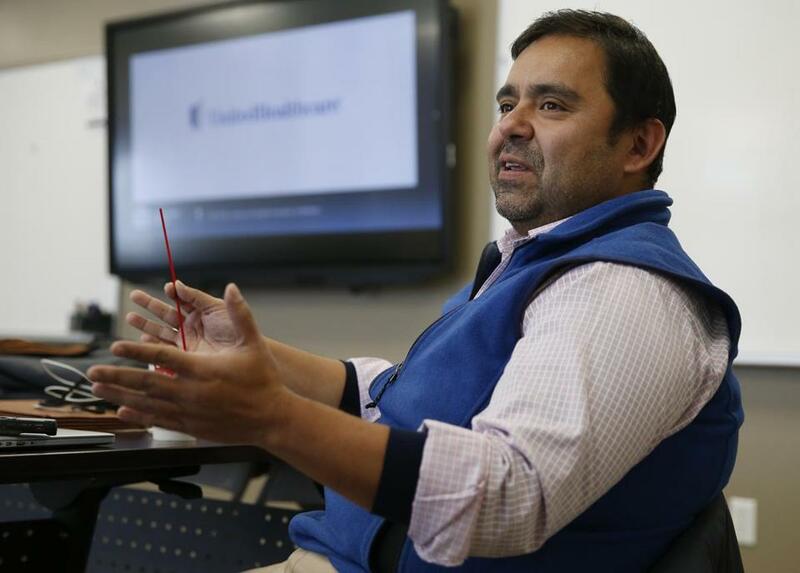 Adolfo Bailon, a former aide to California US Senator Barbara Boxer, has been the Randolph town manager for just about a year now. He said an ad hoc committee is weighing options: Bring back the local cops? Or stick with the sheriff’s office? Some other hybrid system? “You put 10 people in a line and you’re going to get 50 different suggestions about what we should do,’’ Bailon told me the other day after a snowfall had frosted a village that looked like the set of a Jimmy Stewart movie. Here are some facts: The existing police station has exceeded its life expectancy. A new station would cost some $800,000 to $1 million. The police cruisers need repairs or replacement. The outside patrols may not have that local feel, but the price is right. Adolfo Bailon, the Randolph, Vt., town manager, said an ad hoc committee is weighing options: Bring back the local cops? Stick with the sheriff’s office? Some hybrid system? Here is a place of red-brick, 19th-century buildings, home to street-level storefronts of local merchants — restaurants and taverns, a florist shop and an auto parts store — where the local police drama has set the place abuzz. “When the police department left, most people in town were pretty upset,’’ said Sue Sheridan, a Brockton, Mass., native, who was cutting hair at Ken’s Barber Shop the other day. “It was kind of like part of a small town. 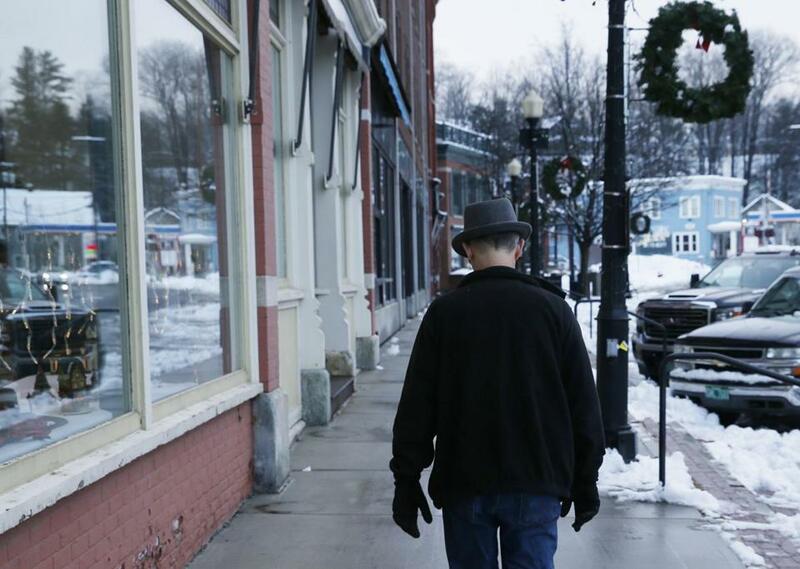 A man walked past shops in Randolph. That’s the way it was when Hillary Leicher was a little kid. Later on, she and her mother had a bookstore on Main Street. The cops on the sidewalk outside were a familiar and comforting presence. Unless the town reverses course, those days will remain the stuff of local lore, of stories told about the good ol’ days of Randolph. Loretta Stalnaker, born in Michigan and raised in Texas, married a man who got a job at nearby Vermont Technical College. She already has stories to tell about the days the local police force was on duty. Like the time a guy walked into the station after enjoying a few too many beers. Stalnaker said there’s something special about being a local police officer, being part of a small-town force whose regular patrols are woven into the municipal fabric of a place. In Randolph, the answer to that question soon comes due. 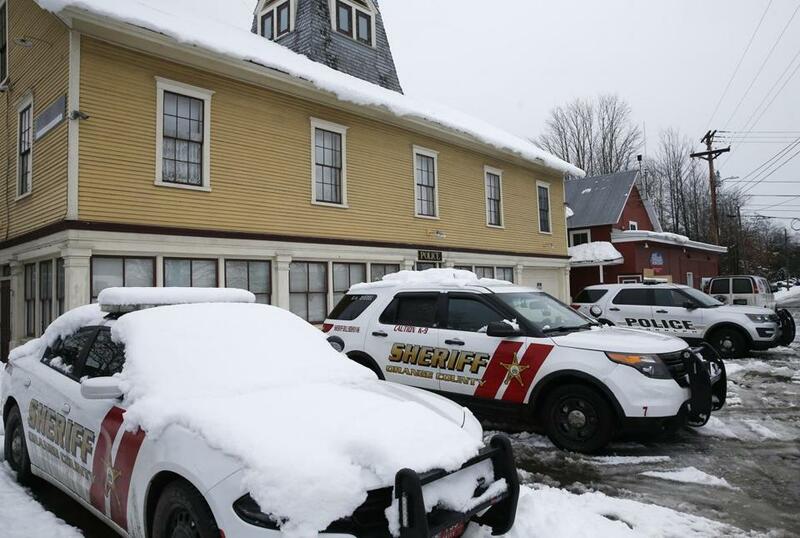 Police cruisers sat outside the old police department building in Randolph. Thomas Farragher is a Globe columnist. He can be reached at thomas.farragher@globe.com.